Importance of marketing automation can’t be overstated. One simply cannot achieve desired speed, efficiency and excellence, without automating certain business functions. However, owing to abundance of the automation platforms, it has become difficult for the businesses to pick up the right and scalable solution. Those in the top line are too expensive for SMBs and those in the middle don’t seem suitable for their individual business needs. HubSpot needs no introduction. It is a widely recognized inbound marketing platform, offering a variety of marketing automation features and capabilities. However, not every business can afford to buy HubSpot service. Comparatively, Makesbridge is a relatively less known solution that offers similar facilities and services for businesses. In the following, we are sharing some key features that Makesbridge offers but you don’t get them at HubSpot. The sole purpose of this article is to highlight the comparative advantages for the business with less than $1,000/mo to spend on a marketing platform. It’s aimed at helping small businesses understand what value Makesbridge can bring by delivering features most commonly requested by small and medium sized businesses. Not to be confused with a 30-Day trial. Makesbridge offers a complementary basic account. The free member version comes with enough features to perform essential email marketing and begin experiencing marketing automation. Comparatively, you get a free trial at HubSpot but what happens after 30 days? Certainly you’ll have to spend to continue to use the platform. Makesbridge has a visible cost advantage over HubSpot and happily shifts that to its valued customers. Just compare the starting packages of Makesbridge and HubSpot and you’ll see the difference. Makesbridge customers can activate a paid account for $375/month and selectively expand into more automation and more features. 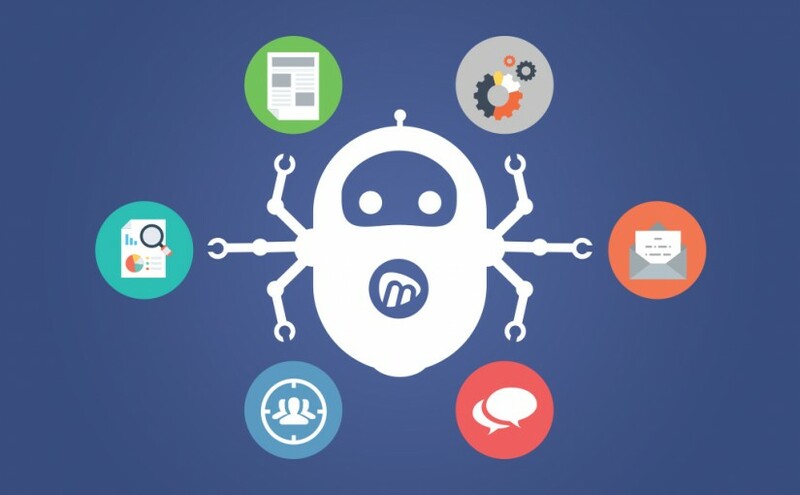 With it’s affordable monthly plans, Makesbridge removes the fear, uncertainty and doubt about standardizing on its platform and marketing automation. You’re not bound to sign an annual contract; instead, you subscribe based on your monthly needs. You don’t commit to a year’s worth of advertising on Facebook, Google AdWords or Outbrain, so why should you when testing different marketing automation concepts? Conversely, HubSpot requires you to pay for a year upfront. For a small business, this makes a minimum of $2400/year investment. Check out Makesbridge’s Pay-as-you-go pricing here. Dashboard reporting is an essential element for operating a company; without them you can’t track how business is progressing let alone how effective your marketing and sales investments are performing. Makesbridge provides a custom reports dashboard that allows you to combine different aspects of business performance, such as KPIs, online campaigns, and email campaigns on a single page. The power is similar to what you would find at domo.com. This is something that HubSpot does not offer. Check out this video tutorial that elaborates as to how Makesbridge helps you track your all online campaigns at one place. Product training and support is an essential element achieving your immediate objective, but much more importantly, the ones you don’t even know about yet! If you don’t know how to run a given software/platform; the success rate goes down tremendously. And, you want a free ongoing relationship with your provider to find out how to expand your operation. To help customers expand and become better at using their platform, Makesbridge freely offers needs reviews. And for qualified customers a business strategist holds workshops to facilitate consensus and goal setting across key stakeholders. However, this training is not free at HubSpot, which means; you have to pay additional dollars (other than $2400) to get an inbound marketing training. Even with it’s free memberships, Makesbridge provides access to sales tools that track complete customer journeys, activity search, sales alerts, tagging, lead scoring and granular control over marketing automation to help brands avoid sending embarrassing marketing emails that contradict sales conversations. In contrast, Hubspot does include Sidekick with it’s base subscription but that feature does not include essential productivity tools such as 1:1 email, tagging, and granular automation controls. HubSpot is no doubt a strong platform, but the average SME user may find it too dense. High powered marketing engineers will appreciate Hubspot’s intricacies for sure, but wiring in all the power takes time and a expensive resources to dial in. In contrast, Makesbridge is an example of the 80 / 20 rule, giving the maximum power typically needed in a comparatively more comfortable user environment. Freedom offers is a bundle of deals that you get at Makesbridge. If you want to use our platform with some other app/platform, we offer you to pay on your behalf. For example, we’ll pay for 1 LinkedIn premium account subscription for the customer who subscribes to MKS enterprise package. This $48/month discount helps customers enjoy LinkedIn premium account and use LinkedIn contacts in drip campaigns. You can check out Makesbridge Freedom offers here. There are certain other unique features that you get at Makesbridge but they seem missing at HubSpot. Check out a short list below. Predictive analysis – compare responsiveness based on contact profiles. Finally, the best way to judge a platform’s utility is to give it a try. We invite you for a FREE Makesbridge trial (30 days). HubSpot and HubSpot’s logo are registered trademark of HubSpot. Information provided in this article was verifiable at the time of publication. In case you find any factual error in this article, please let us know by sending email to support@makesbridge.com. You can also reach Makesbridge at Twitter and Facebook.